The following article is being used with the kind permission of Saint John of Kronstadt Press. Linked material comes from various other sources of the Russian Church Abroad, past and present. On the feast of the Synaxis of the Archangel Michael and all the Bodiless Powers, 8/21 November 1985, His Eminence the Most Rev. Metropolitan Philaret, First Hierarch of Russian Orthodox Church Outside of Russia, reposed in the Lord. Born George Nikolaevich. Voznesensky in the city of Kursk, Russia in 1903, he emigrated in 1920 with his family to Harbin, China, to escape the horrors of the Bolshevik Revolution. After the death of his mother, his father received the monastic tonsure and was consecrated Bishop of Hailar; he was active in Russian Orthodox church life in Manchuria until the invasion of that country-by Soviet military forces, when he was repatriated to the USSR and died. As a young man, George Nikolaevitch completed his theological training in Manchuria in 1931. That same year he was ordained deacon, priest and received the monastic tonsure, with the new name Philaret, after Saint Philaret the Almsgiver. 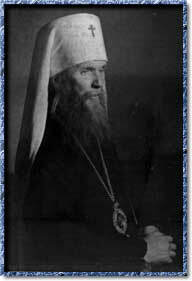 In 1934, he became hegumen (Abbott), and in 1937 Archimandrite. Archimandrite Philaret fulfilled various priestly duties in Harbin, Manchuria, until 1950. He became known for his opposition to the Soviets and rejection of the hope that any substantive change with regard to freedom of religion would be forthcoming in the USSR under Stalin's regime. He categorically refused to accept a Soviet passport, despite tremendous pressure from those Russians deluded by the Soviet propaganda, including his own ecclesiastical superiors. The Synod of Bishops of the Russian Orthodox Church Outside of Russia, which had by then established itself in New York, tried persistently to obtain an exit visa for him. It was not until 1962, with the onset of Chairman Mao's "Cultural Revolution", that Archimandrite Philaret was finally permitted to travel to Hong Kong. From there he went immediately to Brisbane, Australia, where a considerable number of his former parishioners from Harbin had settled. Those parishioners deluged the Chancery of the Synod of Bishops with petitions urging his consecration as Bishop of Brisbane. This movement received the support of the late Archbishop Savva of Sydney, who felt the need of a vicar bishop, and in 1963 his consecration occurred. 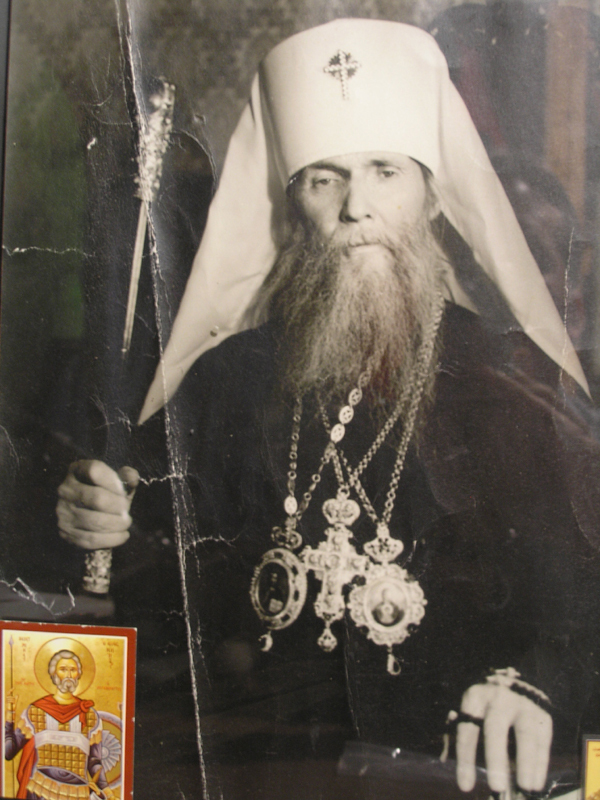 In 1964, when the elderly Metropolitan Anastassy of Blessed Memory announced his retirement as First Hierarch of the Russian Orthodox Church Outside of Russia, the Bishop of Brisbane, who had accompanied Archbishop Savva to the Council of Bishops, was chosen to replace him. As First Hierarch, Metropolitan Philaret distinguished himself by steadfastly opposing any organic participation of the Orthodox Churches in the ecumenical movement. His letters to the late Patriarch Athenagoras of Constantinople and to Archbishop Iakovos in America, and his "Sorrowful Epistles" to all Orthodox bishops clearly set forth his stand in that respect, as did his criticism of the infamous"Thyateira Confession" published by the late Archbishop Athenagoras in Britain. In 1965, he presided over the glorification of St. John of Kronstadt in New York City (the first canonization of any saint celebrated in the United States). He subsequently oversaw the glorifications of St Herman of Alaska (1970, San Francisco), St Xenia of St. Petersburg (1978, New York) and All the New Martyrs and Confessors of Russia who have shone forth under the persecution raised by the atheists (1981, New York). It should be noted as well that more saints and martyrs were canonized during Metropolitan Philaret's life than during that of any other ruling hierarch in the history of the Church. Vladyka Metropolitan Philaret showed a great spiritual concern for all the dioceses for which he was responsible as a Metropolitan. In England, after the repose of Archbishop Nikodem in 1977, he shouldered responsibility for the British Diocese, until Bishop Constantine was appointed. During that period, he several times visited England and showed a lively interest in the attempts to bear missionary witness there. It was under his loving guidance that the first plans were made for the reception and enshrinement of the sacred relics of Saint Edward the Confessor, and by his fiat a Brotherhood was established. Vladyka Metropolitan Philaret guided the Russian Orthodox Church Outside of Russia for some twenty-one years, during a very difficult period in her history. Through this period, many of the older Russian émigrés began to die, and soberly and carefully the Metropolitan encouraged the growth of small mission parishes and monastic sketes. Also during his episcopate, considerable numbers of Orthodox Christians from other ethnic backgrounds (particularly Greek Orthodox Christians) joined the Russian Orthodox Church Outside of Russia. They sought spiritual shelter from the gradual abandonment of Orthodox confession by their own hierarchs. The reception into a church that had hitherto been largely Russian of such groups and individuals was a matter that needed the Metropolitan's wise and careful pastoral oversight. Nearly a thousand people attended the Metropolitan's funeral, which was held at the Cathedral of the Mother of God of the Sign in New York, on the Sunday after his blessed repose. Eight hierarchs, thirty-one priests and eight deacons led the service. At the end of the ceremony, when the faithful had given their Archpastor the last kiss, his relics were taken to the convent of Novo-Diveevo in Spring Valley, where they rested the night. In the early morning they were taken to Holy Trinity Monastery at Jordanville. After the Divine Liturgy, they were laid to rest in the crypt of the Cemetery Chapel of the Dormition of the Mother of God. The handmaiden of God Nadia Mokhoff said, "This man was the kindest. He would take the youth that no one cared about and bring them into the church with nothing but kindness. He was a father to every single one of us." His care for the young people of the Church was something that did indeed characterize his episcopate. His instructions to young people have been published in English translation. Only a year before his blessed repose the Metropolitan presided at the consecration of his vicar, Bishop Hilarion of Manhattan, to whom he particularly entrusted the spiritual care of the youth. Larry Binins in Newsday (Monday, 25th November) caught the key-note of the Metropolitan's ministry by portraying him as "kind Bishop of Russian Orthodoxy"
After Vladyka's repose, the following message was found in his typewriter. No date was indicated, but one must conclude that it was typed within a few days of his peaceful repose. For all us, his spiritual children, it is his spiritual legacy, a reminder for us to live as true Orthodox Christians. "Hold that fast which thou hast"
These words from the Book of Revelation [Rev 3:11] have a particular significance in our time, our greatly sorrowful and wicked days which are full of temptation. They remind us of that priceless spiritual treasure that we possess, as children of the Orthodox Church. Yes, we are rich. This spiritual wealth is that which the Holy Church possesses. This is the wealth which belongs to all her faithful children... The teaching of the Faith! Our wonderful, salvific Orthodox Faith! The countless living examples of the lives of people who have lived according to the Faith and according to the lofty principles and laws which the Church sets before us. Those who have attained that spiritual purity and exalted state that is called sanctity, the beauty and magnificence of our Orthodox divine services, and a living participation in them through faith and prayer. The fullness of the spiritual life of grace which is accessible to each and every one. And, what is the crown of all, the unity of the children of the Church in that love Of which the savior said: "By this shall all men know that ye are My disciples, if ye have love one to another" [Jn 13-35].